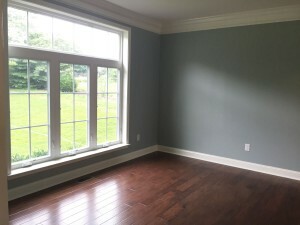 Posts Tagged "condos for sale in delaware"
Though it is frequently overlooked as a small detail, the type and quality of interior trim can have a dramatic impact on the feel of your home – providing a sense of style and balance. Interior trim – including door casings, wainscoting, crown moldings, railings and baseboards– offers not only a finished look, it helps spotlight architectural points of interest. Homebuyers can think of trim as a character-adding component, or as a picture frame that emphasizes the splendor of what’s within. Here at Montchanin Builders, our construction management team understands the aesthetic and functional role of design elements in our move-in ready and custom home communities. Most Wilmington residents are already familiar with the master-planned community of Darley Green, one of our flagship developments that invites homebuyers to accentuate their personal style with their choice of trim, cabinets, counters and flooring. We are proud to continue a long-standing tradition of superior craftsmanship and interior design elements in the luxurious single family estate homes in The Town of WhiteHall – a walkable community located in Middletown, DE. Modern floorplans promise a wide range of options when it comes to exterior and interior details – whether you prefer a classic look or the latest trends. Baseboards and paneling are so common that most homeowners don’t pay it much attention. Consider that, just as paint color can transform the ambiance and appearance of a room, so too can molding elements and trim. Most interior trim is made of solid wood, polyurethane or medium density fiberboard – giving you plenty of options when it comes to color (whether you paint or use a varnish), style and budget. Raise the roof – Want to create the illusion of a higher ceiling? Simply paint the crown molding along the perimeter of the ceiling a slightly darker hue. This effect will draw the eye upwards. Alternatively, you can install the door trim right up to the ceiling. Make a space appear larger – Cramped rooms may benefit from trim that is painted a slightly lighter shade than the walls. This visual effect makes it seem like the walls are opening, adding more space to a small room. Create and Old World look – If you fancy a colonial or Victorian style, try pairing an eggshell-colored wall with contrasting trim that is painted a muted sage green, mustard yellow or gray-blue. Make a space more interesting – interior trim including picture rails and plate rails is a powerful design tool. By adding a trim line below the ceiling and above a window, you’re adding interest and richness to a room. Design experts at Montchanin bring in-depth knowledge to the table in all of our Delaware homes and residential building projects. For more information about The Town of Whitehall, or to schedule a home tour with one of our representatives, please call 302 655 2600. January is an extremely busy time in the Delaware real estate market with many people seizing the opportunity for a fresh start. If moving into your very own home is one of your New Year’s resolutions for 2016, Montchanin Builders offers seasoned advice on how to turn your dreams into reality. Consider the following tips and advice to make the home-buying process easier to understand and navigate. Whether you’re searching for a new construction home that can accommodate your growing family, or want a modern townhouse near the heart of Wilmington, we make home ownership easy and affordable. One of the first steps in becoming a homeowner is establishing the basics when it comes to desired location, needs and priorities. How large does your home need to be? What sort of floorplan is appealing? What kind of neighborhood do you want to live in? What amenities are important to you—would you trade a huge kitchen for fewer bedrooms? Is outdoor space crucial? Once you know what you want, it’s time to figure out how much house you can really afford. The best way to do this is by calculating your debt-to-income ratio and analyzing monthly cash flow. Traditionally, you shouldn’t spend more than 28 percent of your gross monthly income on housing costs. When budgeting for a new home, remember to set aside money for closing costs, which are generally no more than 2 percent of the purchase price. Don’t forget to check your credit score, which is a very important factor when it comes to qualifying for a loan. Ideally, first-time homebuyers will have a credit score of at least 640 or higher. The best terms and interest rates are made available only to those with good credit. Ensure that all credit cards, installment payments, rent and other monthly dues are paid on time. 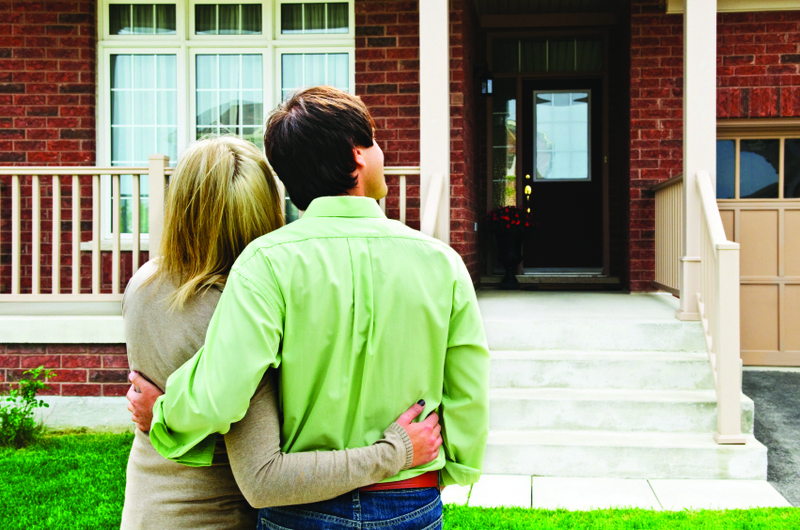 Some buyers opt to get loan pre-approval before they start house hunting. By providing a letter that shows your financial security and strength, you show potential buyers you have the ability to go through with the purchase, and won’t miss out on a dream property because financing wasn’t in place. There are myriad mortgage options offered by brokers, mortgage bankers, credit unions, mutual savings banks, commercial banks, and insurance companies. Each will have different terms for down payment amounts, rates and required paperwork. Do your homework and find the best solution for your budget and long-term needs. Remember that when you purchase a house, it’s not just a place to call home, it’s an investment. In this context, new homes usually have the added bonus of warranties that cover everything from workmanship and wiring and plumbing to structural defects. Montchanin Builders has a variety of new townhomes and condos in Wilmington, located in the master-planned community of Darley Green. Because the properties are new, there’s no need for pricy renovations and all outdoor maintenance is included. 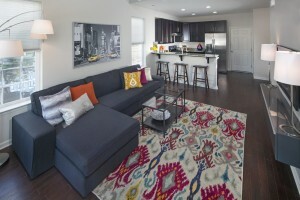 They also feature energy efficient appliances, upscale finishes and several attractive floorplans. Our team is proud to offer affordable housing to first-time home buyers in Delaware and can even help qualified candidates secure $10,000 toward the purchase of a new home. To learn more about our luxurious, move-in ready homes in North Wilmington’s Claymont community, call our information center at 302-655-2600. Spend 2016 in your beautiful new home at Darley Green, where neighbors feel like family! 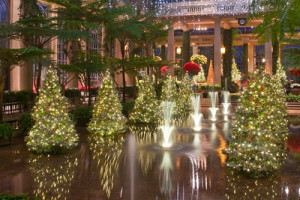 For a holiday outdoor experience like no other, Wilmington area residents flock to Longwood Gardens in Brandywine Creek Valley, where whirling fountain features, thousands of seasonal plants and sparkling snowflakes get visitors into the Christmas spirit. The gardens, lakes and manicured paths are bedecked with a half million twinkling lights, making this a cherished destination for family-friendly fun and holiday cheer. If you’re planning to enjoy a Longwood Christmas with your loved ones this year, here’s a round-up of what you can expect and tips to make your visit more comfortable. Visitors will be wowed by the holiday glitter and glow of the conservatory’s focal point: a 24-foot Fraser fir gleaming with silver tinsel lights and blown-glass icicles. Dance to your favorite melodies at the Open Air Theatre, where towering fountains are perfectly synced to traditional holiday tunes. A stroll down the garden’s Meadow Boardwalk reveals a massive maple tree with shimmering roots, and the Conservatory dazzles with hundreds of trees dripping with icicles and fountain-inspired glass ornaments. Longwood’s Display Design team worked extra hard this year to incorporate fountain-inspired displays into every facet of the sprawling grounds. The Italian Water Garden features a floating 20-foot tree form illuminated with thousands of lights, and a miniature G scale model train rumbles through the festive landscape to the delight of children. This year’s holiday displays also feature a brand new fire pit at the Hourglass Lake Pavillion, open on Thursdays, Fridays and Saturdays. This is a cozy spot to sip hot cocoa and warm up after browsing the exhibits and displays. Budding horticulturists will appreciate the garden’s spectacular winter blooms, which include Paperwhite Narcissus, Japanese Camellia, Poinsettia, Red-Hot-Poker and Scarlet-Plume. 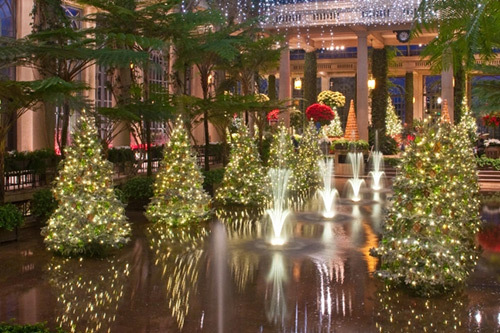 A Longwood Christmas runs through January 10, 2016, and reservations are a must. Those who aren’t a member must purchase a timed admission ticket, which allows entry during a specific time. Allow extra time for travel — rush hour traffic peaks between 3:00 – 7:00 pm. To enjoy some fine dining at Longwood’s 1906 restaurant, make advance reservations online. The Brandywine Valley and greater Wilmington area are home to dozens of special holiday events and attractions that underscore the rich history and culture of the region. 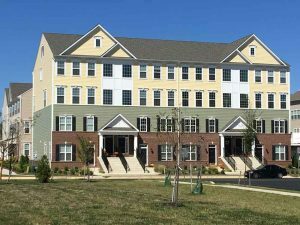 If you’re planning to visit a Longwood Christmas this year and are considering a move to this vibrant area, we invite you to learn more about Montchanin Builder’s townhouses and condos in Delaware. Whether you’re dreaming of a custom-built home or are looking for a move-in ready condo, our sales representatives are ready to assist. Call 302-655-2600 or contact us online at info@montchaninbuilders.net for more information. Residential real estate activity increased in the major markets in the Federal Reserve System from July to mid-August, with increases in both home prices and home sales. This pace is a continuation of the steady growth in real estate in the nation’s twelve Federal Reserve Banking districts—Atlanta, Boston, Chicago, Cleveland, Dallas, Kansas City, Minneapolis, New York, Philadelphia, Richmond, San Francisco, and St. Louis– as reported in the July Beige Book. The Beige Book, released to the public eight times a year by the Federal Reserve System, is a compilation of reports and interviews with bank and branch directors, economists, market experts, and business contacts. It is issued prior to Federal Open Market Committee (FOMC) meetings which take place eight times annually to set key interest rates and to decide whether to loosen or tighten the money supply. Their decision on interest rates is highly anticipated and has a significant effect on a home buyer’s purchasing power. In this case, the Beige Book comes just in advance of the important and anticipated September meeting of the Fed to determine what to do about interest rates. A consistent theme across the twelve Federal Reserve districts is that sales of low and medium priced homes continue to outdo those with higher prices. Boston, New York, and Richmond all reported low inventory which has led to bidding wars among buyers eager to invest in affordable homes before the FOMC decides to raise interest rates. 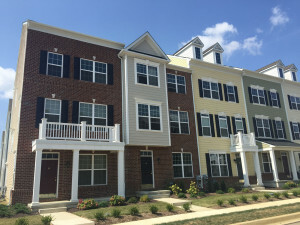 This sends a strong message to home buyers in Delaware who can take advantage of the affordable luxury of the move-in ready townhomes and condos at Darley Green in Wilmington, Delaware. Why fight bidding wars on the resale market when you can choose your own generous floor plans, exceptional finishes and appliance packages, and move into a maintenance free new construction home? Darley Green combines a perfect location– minutes from downtown Wilmington and twenty-five minutes to downtown Philadelphia—with a delightful master-planned community of truly affordable and luxurious new construction homes. Your new home will be protected by structural and manufacturer warranties on everything from your roof to your new appliance package. With construction by an experienced builder like Montchanin, Darley Green homes come with high energy efficiency and safety standards, the latest in home technology, and the ability to customize your own home design with paint colors, flooring, and other touches that will make your new home your own. The Beige Book report points out that in virtually all markets, prices for low to medium-priced homes are either steady or climbing while the overall rental markets remain strong across the country. The consensus of the twelve Federal Districts is that there will be a continued positive residential outlook, with the majority of the districts expecting this increased real estate activity to continue. As the Beige Book points out, the increasingly robust real estate activity seen in July and August is a continuation of a steady upward trend in low to medium priced homes. This is creating competition for choice properties, even inducing bidding wars in certain markets. The heightened activity sends a signal to value oriented buyers that there is pent-up demand being released into the marketplace, much of it still due to low interest rates. If the Fed decides in September to up interest rates, mortgage payments will rise accordingly. There is still time to visit the affordable and luxurious move-in ready new homes at Darley Green, the heralded master-planned community with the small town feel in Wilmington, Delaware. Work with our design experts to help you choose from a variety of floor plans and design features to suit your needs. You’ll love your new maintenance-free lifestyle and a perfect location that’s minutes to everything. Call 302-655-2600 to speak with a representative from Montchanin Builders and set up your free tour. Delaware’s art and entertainment scene is constantly evolving, offering a fascinating array of events, shows and openings for residents and visitors alike. For more than two decades, Art on the Town has been a favored Friday tradition in downtown Wilmington. Patrons are shuttled (free of charge!) on this Art Loop to preferred exhibitions and openings, allowing them to mingle with artists, partake in refreshments and in some cases enjoy live music. Whether you’re a Broadway buff, a lover of fine photography and paintings, or appreciate unique homespun creations, there’s no shortage of galleries, theaters, performances and festivals in which to indulge this summer and fall season. And if you’re thinking about moving to the area and want a central location close to these exciting cultural and recreational offerings, there’s no better place than Montchanin Builders’ move-in ready homes in Wilmington. While there are plenty of planned openings and shows to work into your evening and weekend itinerary, it’s fun to make room for those unexpected ones that seem to materialize out of nowhere. Take for instance the pop-up art gallery shows at H.B DuPont Park this August. Some 35 artists showed their work in a freestanding cube gallery in the park, with many of the pieces available for purchase. The creative team behind “The Shaft” is artist Lauren Ruth and Maiza Hixon, former curator of the Delaware Center for the Contemporary Arts. The mission was to snag random visitors, those on their way to or from work, to experience something new and different. And the result: a resounding success! If you missed the pop up gallery this month, there are still countless opportunities to experience art, music and culture in Wilmington. September 12 and 13 marks the annual Brandywine Festival of the Arts – an end-of-summer institution that lures thousands of visitors from across the Eastern shore board. Browse a huge variety of styles and mediums, enjoy live music performances and tasty food at this nationally recognized event. Expect gorgeous handmade jewelry, folk art, unique leatherwork and clothing, pottery, quilts, and a huge assortment of fine paintings and photography. Five dollars grants you admission and kids 12 and under are free. And if you adore the performance arts, the Delaware Theatre Company is the state’s largest and only theatre crafting new shows for Broadway. The 2015-2016 season is shaping up nicely, with a slew of entertaining and compelling shows. Watch as Maurice Hines brings the history of American tap to life in a show directed by Tony Award-winner Jeff Calhoun. “Maurice Hines is Tappin Thru Life” runs from September 16 through October 4. Beautiful condos and townhomes in the master-planned community of Darley Green are not only maintenance free (all yard and street work is included! ), they’re close to the restaurants, galleries, shopping and nightlife in downtown Wilmington – a wonderful place to call home. 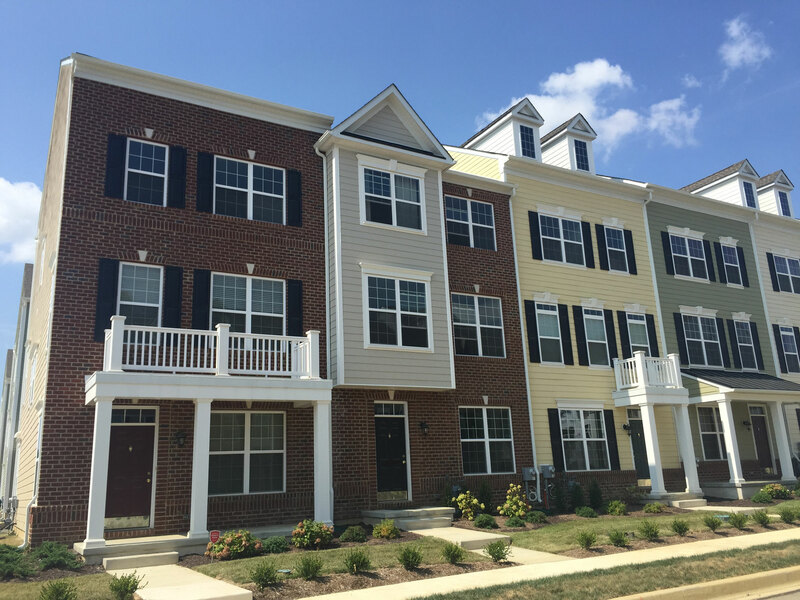 To schedule a home tour of our luxurious yet affordable move-in ready homes in the Claymont Renaissance District, please email or call us at (302) 655-2600 today. 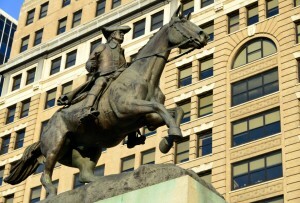 Healthy Wilmington: The Place to Get You Moving! 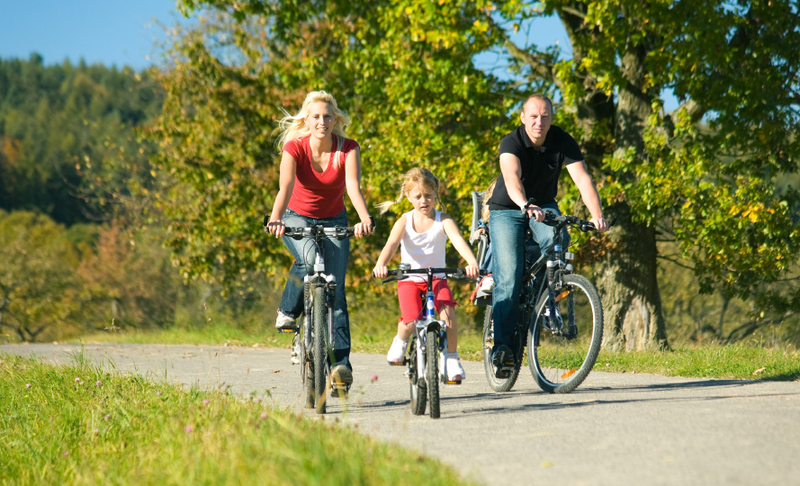 A key attraction for the homeowners at Darley Green, Wilmington’s highly regarded master-planned community of new construction condos and townhomes, is its proximity to so many healthy recreational activities, many in the fresh air of the great outdoors. Darley Green “walks the walk” itself with its own dedicated jogging trail. Situated at the northern end of the Delaware Outdoor Trail, Wilmington residents can work their way through 60 outdoor activities at 40 statewide locations. 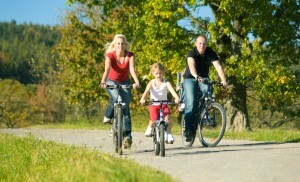 The activities are in four categories–walking/hiking/running, wildlife viewing, biking, and water activities. Small in size, but big in reputation among outdoor lovers, Delaware has always been blessed with extraordinary natural beauty. Lush river valleys, deep forests, spectacular trails, outstanding state parks, and mile after mile of gorgeous sandy beaches and rock-strewn coastline mark Delaware as a healthy paradise. 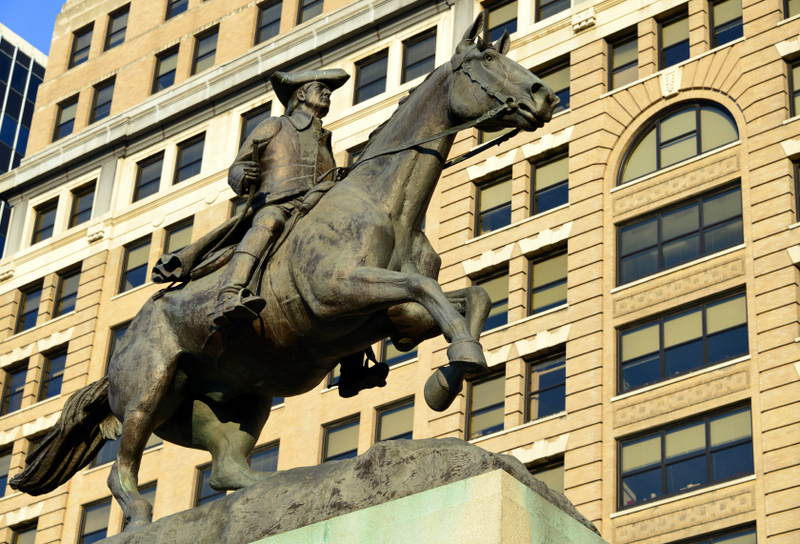 The area around Wilmington DE is surrounded by six wonderful state parks alone–Brandywine Creek, Fort Dupont, White Clay Creek, Bellevue, Fort Dupont, Lum’s Pond, as well as the Northern Delaware Greenway. Kayaking, hiking, zip lining, and biking are minutes away from Wilmington. A very special thing is happening at CrossFit Riverfront, a much-loved cross training facility on Justison Street at the Wilmington riverfront. Recently voted Best CrossFit facility by the voters of Readers’ Choice, CrossFit Riverfront is a supportive, intensive training facility where the emphasis is on varied workouts scaled to all ages and fitness levels, from disabled to Olympian. There are eighty classes weekly in categories like CrossFit, RivFit, Yoga, FightFit, Endurance, Strongman, and Olympic Weightlifting. In the summer, there are even two-week KidsFit Camps “teaching healthy exercise habits in a fun and exciting way.” For kids 6 to 12, the classes are varied and keep the kids on the go, laughing and having a great time without ever getting bored. Call CrossFit Riverfront for information on all of CrossFit’s programs. In the spring and fall, the Healthy Kids Running Series comes to Wilmington to provide pre-K to 8th grade kids with an uplifting and fun five week experience in the world of running. Originally designed to educate parents and kids on the dangers of childhood obesity, this superb running program motivates any child to see that running can be a key to staying healthy and active while making children feel great about themselves. There are age-appropriate Race Series once a week that give a child a chance to experience the excitement of competition while making new friends and hopefully beginning to adopt a healthy and active lifestyle. Win or lose, the point is to do it! Fast or slow, all participants receive a medal and gift bag for their achievements. The spectacular outdoor settings around Wilmington are the backdrop for the affordable luxury of the new construction condos and townhomes at Darley Green, ideally situated minutes from downtown Wilmington and the Riverfront and only twenty-five minutes from Philadelphia. 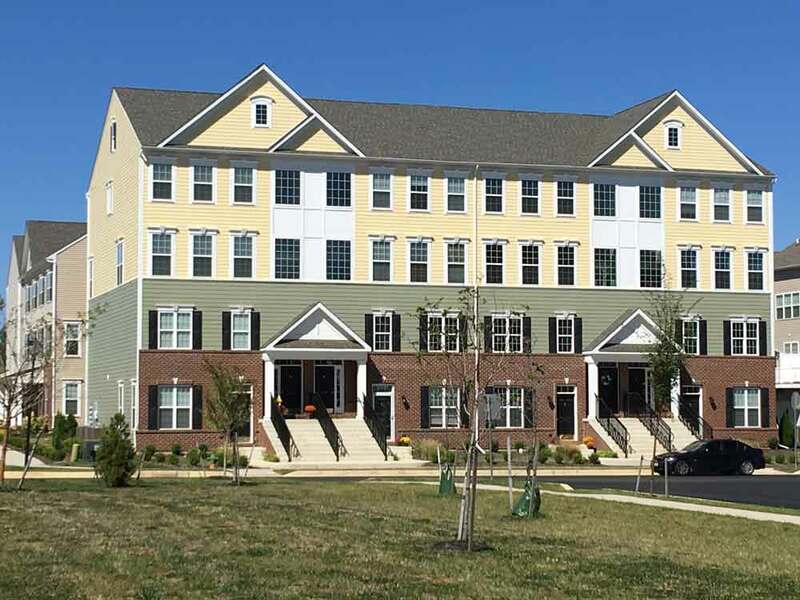 If you’re looking for a move-in ready condo or townhome in stunning northern Delaware, call 302-655-2600 to set up a private tour of the great homes at Darley Green. The calendar may say that summer is rushing by, but summertime activity on the Wilmington Riverfront shows no sign of slowing down. 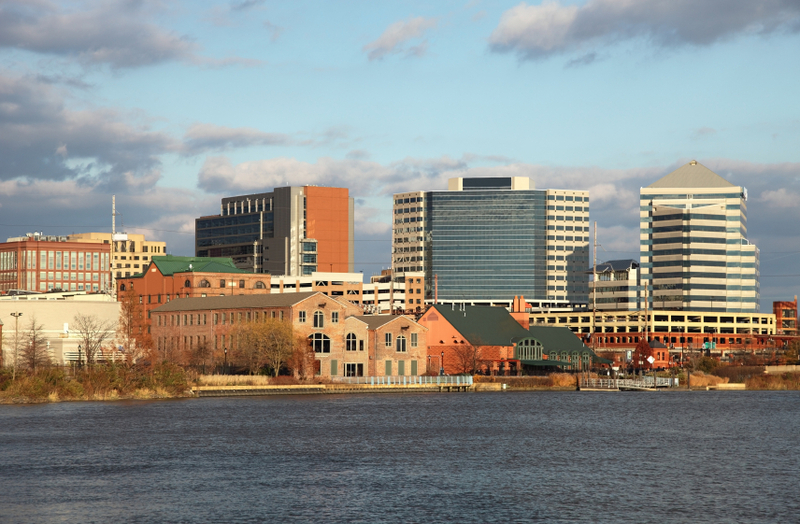 One of the great attractions of living in the Wilmington, Delaware area is the seemingly never-ending flow of things to do regardless of the season. If you’re looking for townhomes and condos for sale in Delaware, be sure to check out the master-planned community of Darley Green, situated only minutes from the Riverfront. Darley Green epitomizes affordable luxury and a maintenance-free lifestyle in a delightful small town setting. It’s the perfect home base to enjoy the fantastic indoor and outdoor lifestyle that Wilmington has come to be known for. Nothing says summer like outdoor concerts, cruising on the water, and of course, baseball! If you live in Wilmington, you know all about the free Shipyard Summer Concert Series at Dravo Plaza right next to the Shipyard Center on the Riverfront. Thursday evenings under the stars in August mean Cajun, Zydeco, Roots, and Reggae on the 6th of August, some Sinatra to celebrate the 100th birthday of Ol’ Blue Eyes on the 13th, sizzling salsa and Latin Swing on the 20th, and R&B and classic Motown on the 27th. And all right on the Wilmington Riverfront! After enjoying a day of some of Wilmington’s famous tax-free shopping, you may want to rest your wallet and your weary bones by taking a lovely, relaxing cruise on the 29-passenger River Taxi on the serene Wilmington and Christina Rivers. Catch a sailor’s eye view of the many cool attractions, strolling couples and families, and open air bars and restaurants along the Wilmington Riverfront. There are six River Taxi docks along the Riverfront so just jump on wherever you want. You may also want to take a one hour History Tour sponsored by the Christina Riverboat Company and learn more about the storied history of the Wilmington waterfront. Does seafood taste better when you’re on the water? Try a special seagoing dinner on deck while the captain and crew do the work. August is a perfect time to enjoy a balmy summer evening on the river with friends on Wilmington’s immensely popular Wednesday Wine Cruises. Head over to Dravo Dock near the Shipyard Center for one-hour tasting cruises highlighted by a selection of specially handpicked wines. The tasting cruise is $15, and you can order cheese, fruit, and crackers for only $6 per person. 21 and over. Reservations are highly recommended. After a day of touring condos for sale in Delaware, the kids may be getting antsy! Every Tuesday and Thursday through the end of August is Family Night on the River. Hop aboard a River Taxi with the kids for only $15 for a family of four. Take a 45 minute cruise on the Christina River up to Stratosphere Trampoline Park and get a 50% off pass for an hour of jump time and a coupon for Molly’s Ice Cream! What’s August and September without baseball? One of the greatest American pleasures is minor league baseball–small parks so you’re close to the action, future All Stars and Hall of Famers on display just yards away, crazy promos and giveaways, hot dogs, beer, and cotton candy. The Wilmington Blue Rocks of the Carolina League have made the playoffs and have some great home games between now and mid-September to enjoy even if you’re not a baseball fan. Bring the family to Frawley Stadium at the Wilmington Riverfront and see what minor league baseball is all about. If you’re looking for maintenance-free affordable luxury in a new construction condo or townhome in Wilmington DE, you owe it to yourself to tour Darley Green. This charming community with a small town feel is ideally located just minutes from the Wilmington Riverfront and only twenty five minutes from Philadelphia. Call 302-655-2600 to set up your private tour and see why Darley Green may just be your best choice for your new life in Wilmington, Delaware.